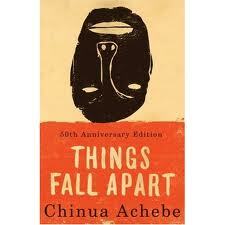 Things Fall Apart Research Papers show the novel is about Africa, written by an African, Chinua Achebe. It is not just an account of activities in various areas of a nine-village clan; rather, it is a story that describes life, customs, and difficulties that arise when internal and external forces put pressure on the clans’ lifestyles. Things do, indeed, fall apart in many ways. This is a very powerful novel, one that depicts the destruction of a man and his village in Nigeria. It is demonstrative of the indomitable spirit, as we see in Okunkwo, but also shows how that spirit can be crushed by intruders who violate the most basic rights of any people. Achebe has successfully and dramatically told the story of crushing the human spirit, caused by Westernization, colonization, Christianization, and the end of tribal beliefs and customs. Things Fall Apart is set in an area of Africa (presumably Nigeria), largely in the village of Umuofia, where the protagonist, Okunkwo, lives with his three wives and numerous children. His village is one of nine that had been founded by the nine sons of the first father of the clan to which Okunkwo belongs. While learning about Christianity and other people of the world (whites, in this case) is perfectly fine, wiping out people and their customs and belief, as demonstrated by Achebe, leaves us saddened and disturbed. There is a strong, memorable lesson in Things Fall Apart, and that is we must respect all people of every ethnicity, treating them as equals, and respecting their way of life, no matter how remote it is from our own. Only then will we fully understand and embrace each other and live in harmony. Paper Masters writes custom research papers on Things Fall Apart and tell about the novel by Chinua Achebe and its influence on African Literature.